I looked in MAMP's PHP 7 ini file and I see this code which seems to be related to OPcode caching. So I am not sure if I need to do anything else to enable it, it seems to be enabled based on the code above. 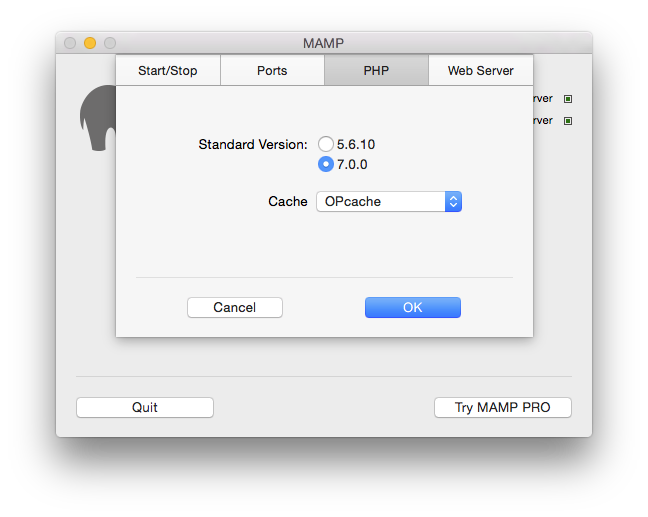 I googled around and could not find any specific documentation with regard to MAMP and PHP OPcode caching. 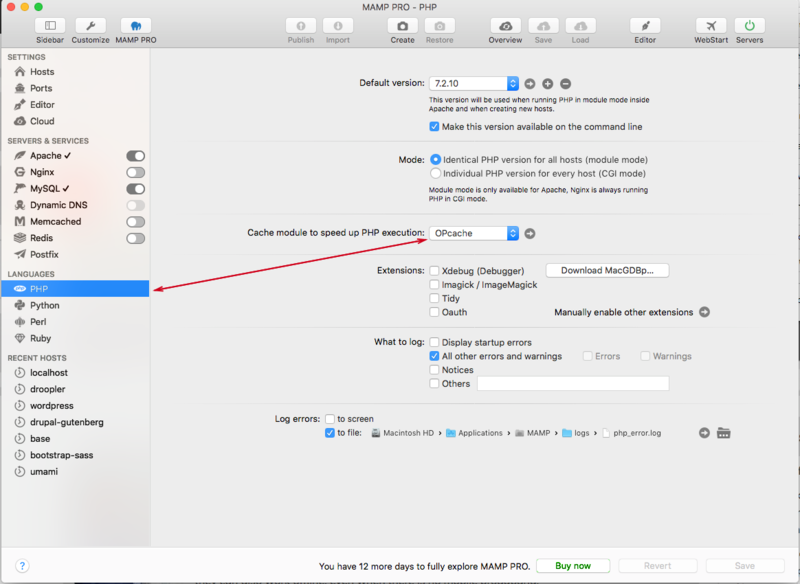 Just make sure that the OPCache is selected as caching mechanism in MAMP preferences. Click on the "PHP" tab. Select "OPcache" under "Cache" field. The UI is slightly different for Mamp Pro. Some may find this screenshot helpful. 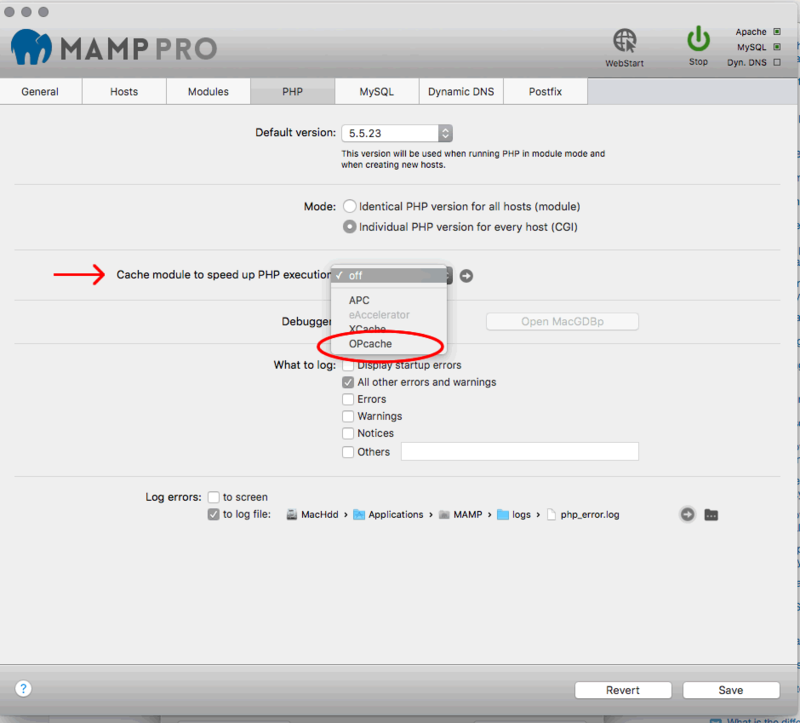 More recent versions of MAMP Pro have a different layout for the UI. Not the answer you're looking for? Browse other questions tagged 8 caching mamp or ask your own question. Site caching a php page? What happened to Drupal's performance?